Microderma Mitt for the body is a revolutionary new skin care mitt that gently but thoroughly lifts and removes the top layer of dead skin and cleans out your pores. Microderma Mitt for the body is a revolutionary new skin care mitt that gently but thoroughly lifts and removes the top layer of dead skin and cleans out your pores. Instantly, smoother, younger and healthier skin is revealed. It just takes a few minutes in the shower 1-2 times each week to keep your skin smooth, healthy and glowing for life! 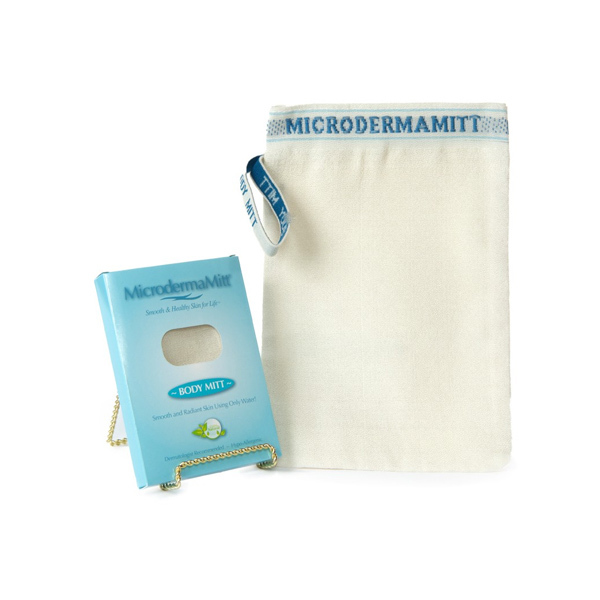 The Microderma Mitt for the face is made of finer threads and is gentler on the face. 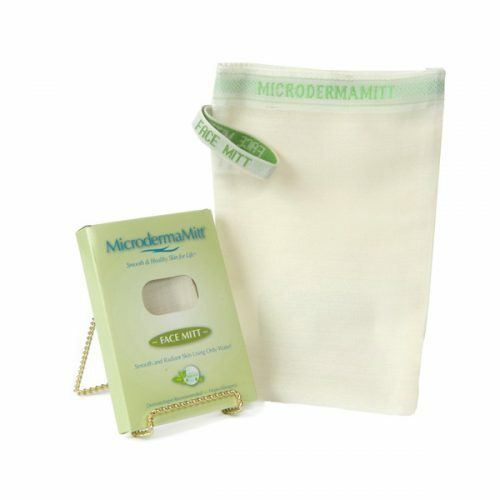 The Microderma Mitt for the body removes dry skin all over the body. The mitt is made of floss silk and is 100% natural. Just wet it with warm water and feel the gentle friction on your skin. Microderma Mitt is very effective and has immediate results. Helps diminish the appearance of fine lines and wrinkles, acne scarring and sun damage. Stimulates collagen production, promoting healthier, smoother and younger skin. 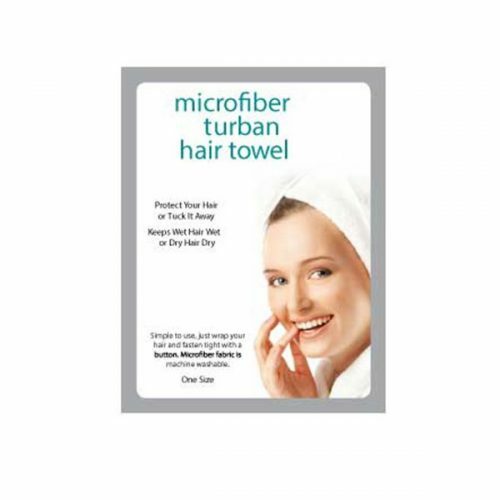 Helps prevent razor bumps and ingrown hair. Opens and cleans pores so they don’t get clogged with oil, dirt, soap or lotion. Helps treat and prevent blemishes, breakouts and acne. Helps treat keratosis pilaris (tiny bumps on back of arms, thighs and buttocks) to maintain bump free skin. This is an amazing skin exfoliator and we give it 5 stars!